Empower a Child believes education is the key to changing a child’s life from a life of poverty to a life of possibilities. Sponsoring a child creates a ripple effect across nations. Our Executive Director & Founder, Wilson Kabeera, grew up in a similar dire situation to many of the children we meet, in dire situations. 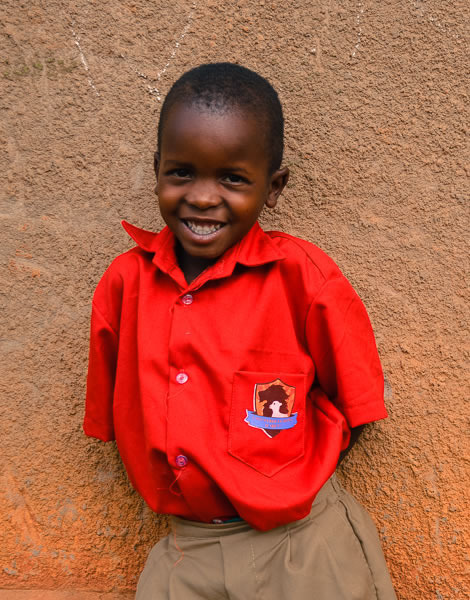 David Bottomley, a gentleman living in the U.S., made a decision to sponsor Wilson - a decision which changed Wilson's life forever. Wilson’s sponsor made a decision to sponsor one child. In turn Wilson himself impacted the lives of thousands of children across East Africa through the work of Empower a Child. Even a generation of orphans has the ability to stand up and make a difference in their country; they can help mould a better future - one that has less of the suffering and pain they had to endure as children. With your sponsorship, you can stand in the gap for these children who cannot receive assistance otherwise.